Mike Boyle, Advisor – Commercial Properties, Inc.
Mike Boyle joined Commercial Properties Inc. in October 2012 as an advisor. As a part time occupation, he is a grant writer for New Mexico Schools and Libraries, writing over two million dollars in grants in 2013. From 1981 to 2005, Mike was the owner and CEO of ComputerLand of New Mexico, eventually having 5 locations, 75 employees and had twenty five million dollars of revenue a year. In 2005, the company assets were sold to a large computer reseller in Houston, Texas. Shortly after graduating high school, Mike joined the Air Force as a Russian language specialist, and was honorably discharged in 1975 as an inventory specialist. 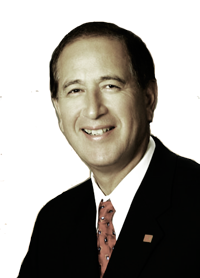 Mike attended and graduated from UNM in 1979 with a BS in political science and economics. Mike has been happily married for 35 years to his beloved wife Susan with whom he has two daughters, Piper and Maggie.